US study visa F1 can be used for academics. 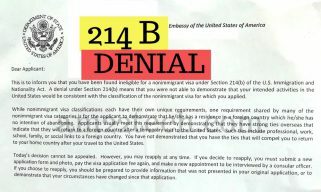 214B visa refusal means that US visa officer was not convinced in interview about your return to home country. Re-apply B1/B2, F1 anytime again with new proof. Can F1 OPT stay in US after filing H1B on April 1? Hi, My F1 OPT grace period ends April 19, 2019. Will I be able to stay lawfully (in-status or period of authorized stay) if my employer files an I-129 H1B petition April 1, 2019? Or would I have to leave April 19 to prevent any chance of unlawful presence/out-of-status? Grateful for an answer. Wife on H4 file COS to F1 or go to India for F1 stamping? 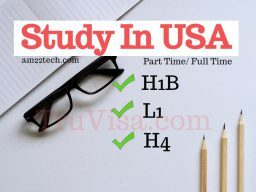 H1B can study in USA while working full time without F1 visa including H4, L1. Eligible for in-state tuition. Full time MBA allowed. Employer can pay tutition fees.